Tyohar is the spiritual guide and founder of the PachaMama village. In the late 90’s while travelling around the world, mostly in India, by a twist of fate, Tyohar discovered and was deeply touched by the Indian mystic Osho’s transmission and meditations. Years later Tyohar was sharing satsangs and leading silent retreats, when a seed vision to create an alternative community was born. 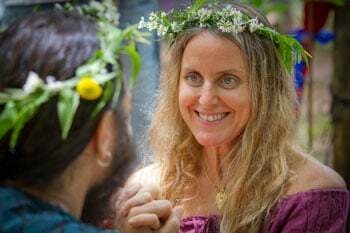 From this seed, and a lot of love, sweat and rich experiences, a flourishing garden called PachaMama village now exists in Guanacaste, Costa Rica. He leads meditation retreats, in silence, a few times each year and holds weekly Satsangs meetings. 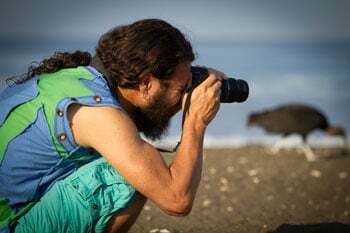 Tyohar has a great passion for wildlife photography and conservation. He is the driving force behind the ongoing restoration and reforestation of a 500 acre piece of land in which PachaMama is located. His camera brings him to very remote, pristine corners of the world to share the original view and the endangered creatures who are there and their plight. He also leads all night Musical journeys a few times a year which he dj’s from his vast collection of many genres of rock, trance and medicinal music from the 60’s until today. Read about the music journeys here. In the daily life he is a part of the community sharing as a brother and a friend, together with his life partner, Chandani. “The very soul of PachaMama is a movement to the unknown. It is a continuous movement out of our old skin to freshness. We need to keep this energy field safe and protected, so those who come here will feel invited and be inspired to let go of the known skin of the personality and dive into the mystery of the moment, into the vastness of a silent being. By keeping it safe and protected I mean that we need to make sure that the meditative space of PachaMama is held with grace and consistency.